This Tuna Sliders Recipe is a great easy meal that everyone will love. It’s so simple and easy to throw together, and of course it is a kid friendly recipe that everyone in your family will love. Canned tuna is a staple item that is inexpensive, healthy and a great option to keep in your pantry for last minute meals. 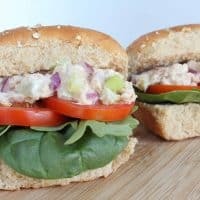 This tuna sliders recipe combines a few tasty veggies and a delicious dressing to make a simple classic sandwich feel special. I love the addition of a hard boiled egg to the tuna. It adds a bit of heartiness, and helps the tuna stretch farther. Stretching your grocery budget is always a good idea, and with the addition of spinach and arugula you won’t feel guilty about feeding these to your kids. The added healthy greens bump up the nutrients making this a great choice for a lunch or lighter evening meal. Hard boiled eggs can often be a tough food for some to prepare correctly. You may wish to go the simple method by purchasing eggs already hard boiled in your grocery store. If you prefer to do it yourself, the best method to have a perfectly boiled egg is to place your egg in a pot and cover with water. Bring that water to a boil, cover and remove from heat. Leave for 12 minutes then drain water and rinse in cool water before peeling. 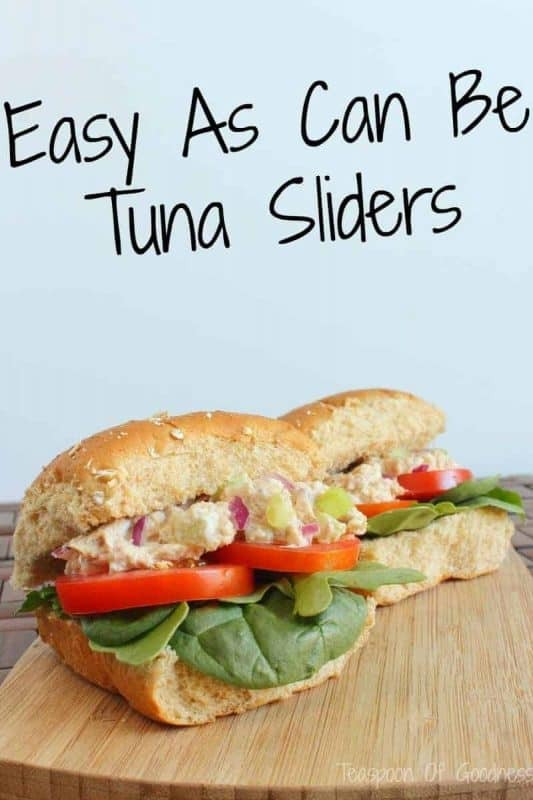 2 ways that you can make these tuna sliders even healthier while still being yummy is to buy tuna in water instead of tuna in oil and you can also skip the roll and serve on cucumber slices. Combine the tuna, mayonnaise, egg, celery, onion and lime juice. On the bottom of each roll make a layer of Spinach, Arugula, Tomato, Tuna and top with the other half of the roll. 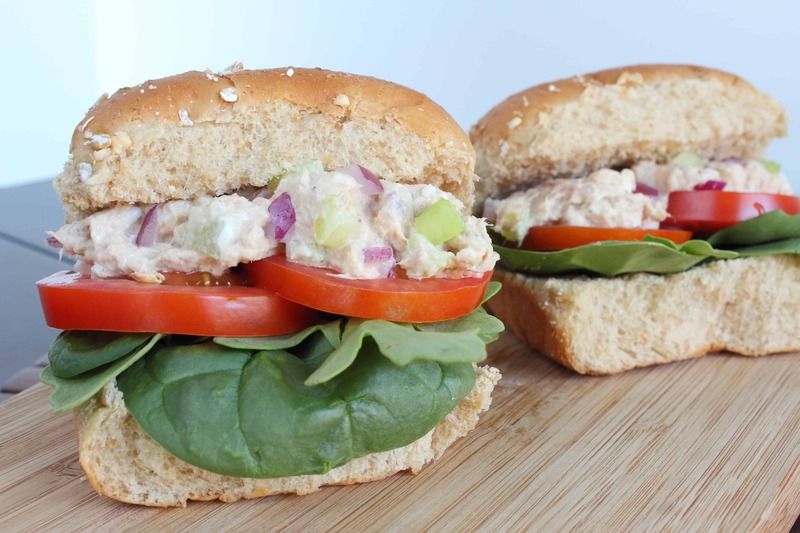 This tuna sliders recipe is a great option for lunch or a light dinner!